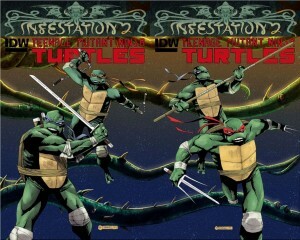 The sewers of NYC have always been home to the Teenage Mutant Ninja Turtles… but what else has been nesting in the deep dark? 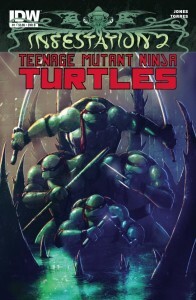 A series of strange occurrences leads the Turtles into long forgotten tunnels. What they find there should have been left alone, for as light fades ands wall narrow- bone chilling terror awaits!